Some of our favorite reality TV stars were spotted out and about (all over the country!) and on the red carpet this week. 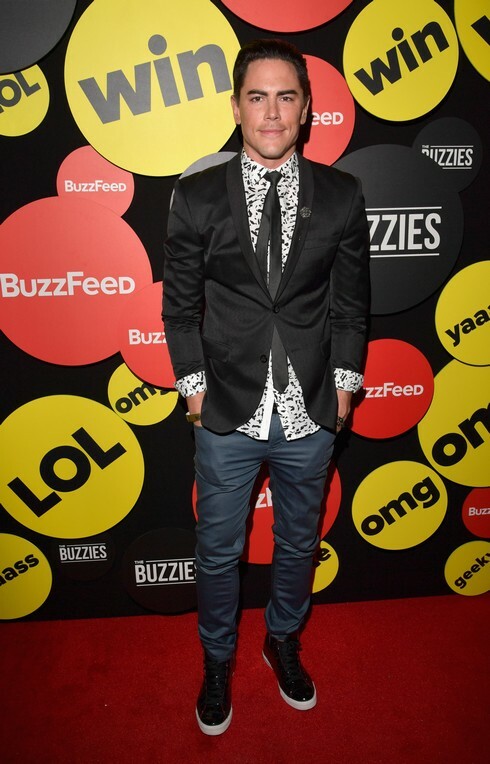 Vanderpump Rules star Tom Sandoval looked dapper as he attended The Buzzies, BuzzFeed’s Pre-Emmy party. Kim Zolciak and Brielle Biermann have been doing press in NYC for the return of their show, Don’t Be Tardy. They stopped by the AOL headquarters, with Kim literally busting out of her top. Also out and about in NYC: Yolanda Hadid (minus a bra) and daughter Bella. Terra Jole and Amber Rose were spotted behind the scenes prepping for Dancing With the Stars. Meanwhile, over in Atlanta, Kandi Burruss attended ESSENCE And Johnson & Johnson’s Path To Power event. Also below: Kim Kardashian in Florida (and missing a shirt), Snooki and JWoww in NYC, and more!